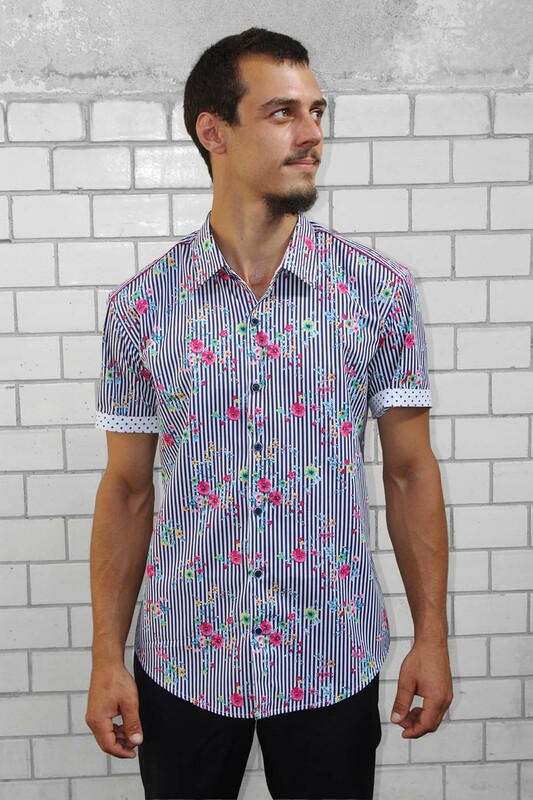 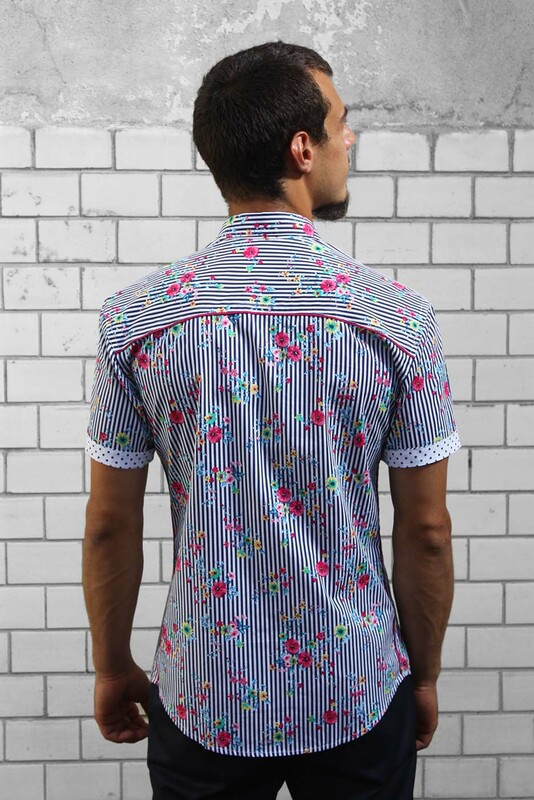 Striped floral shirt, short sleeve, made out of thick cotton poplin. 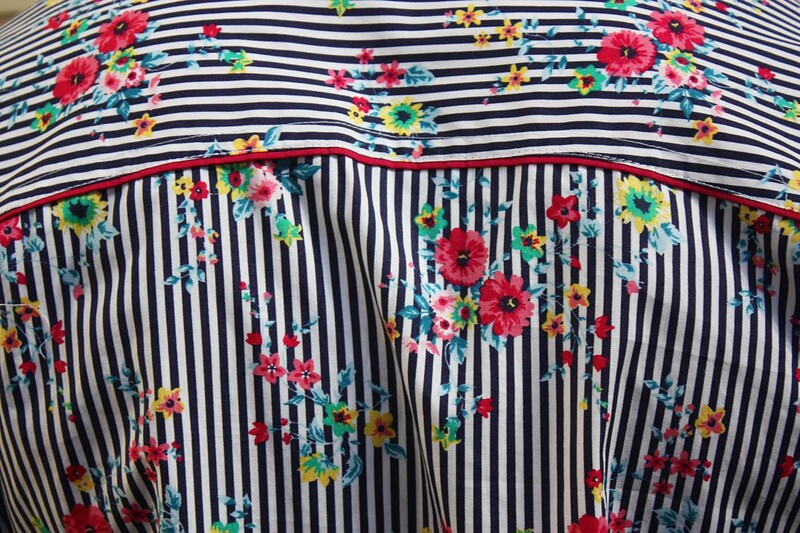 Floral print on marine blue and white stripes. 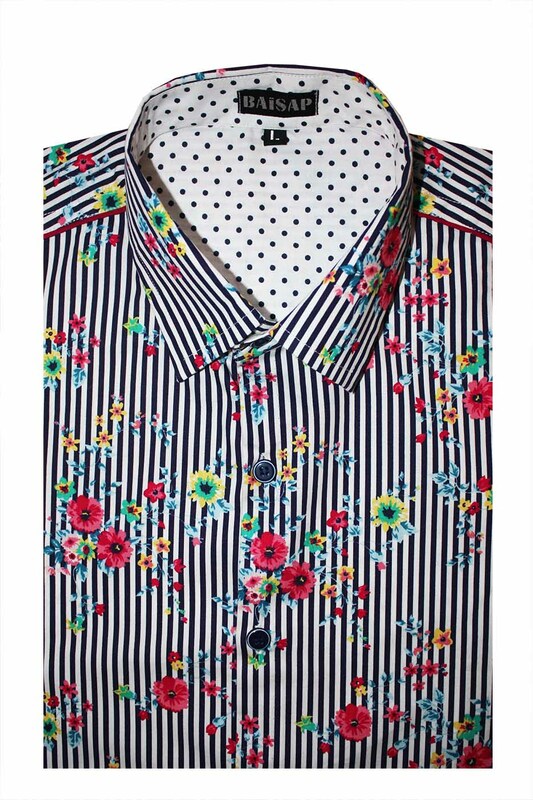 Marine blue dots on sleeves, collar & shoulders lining. Fuchsia piping, blue & white button.